Cambridge Sensotec supplies a range of industry standard couplings and pressure resistant hoses which can be used in conjuction with many gas inslutated electrical equipment manufacturers. Also, a 2m hose is supplied as standard. Please contact Cambridge Sensotec for further details. 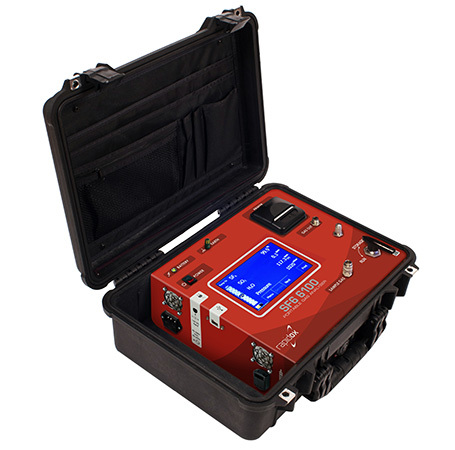 It may be possible to rent a Rapidox SF6 gas analyser, dependent on availability. Please contact Cambridge Sensotec for further details. All calibrated Rapidox SF6 gas analysers are accompanied by a calibration certificate including details of the sensor signal, test gas concentration, reading and deviation values. As part of the company’s ISO 9001 standards, all calibration data is recorded for the purposes of sending calibration reminders or for the reissue of lost calibration certificates. Please contact Cambridge Sensotec for further details. It is recommended that SF6 gas analysers are calibrated every six months in order to verify that the gas sensors are responding correctly and to improve measurement accuracy, consistency and reliability. Our highly trained technicians are are to offer a range of servicing options including calibration and sensor replacement. Please contact Cambridge Sensotec for further details. Cambridge Sensotec prides itself on personal after-sales service. We are here to help you with any technical or application queries that you may have at any point after purchasing your Rapidox. In addition, we offer the Team Viewer service that enables remote diagnostics for rapid response, should you experience any technical difficulties with your Rapidox. 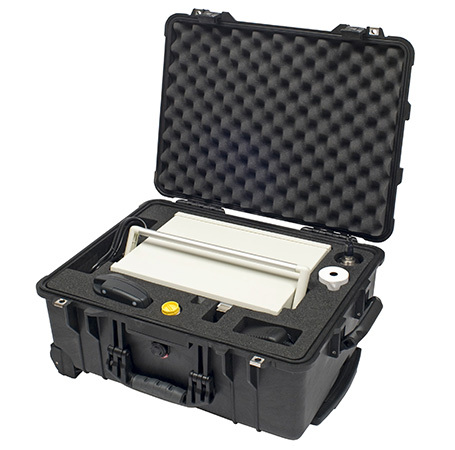 Lead times for the Rapidox SF6 6100 Bench gas analyser are 2-3 weeks as standard. Portable and Pump Back models are 4-5 weeks as standard. Worldwide insured delivery is estimated to be 10 to 15 working days, dependent on location. Please contact Cambridge Sensotec for further details. All Rapidox gas analysis instruments are designed and manufactured within the Cambridge Sensotec facilities in Cambridgeshire, U.K.
Payment terms are 100% in advance by cheque, wire transfer or credit card unless 30 days credit terms have been agreed in advance. We also accept via paypal. A 12-month back-to-base warranty is issued with the purchase of each Rapidox SF6 gas analyser. Our sales team endeavour to reply to all quotation requests within two working days. The suitability of the correct Rapidox gas analyser for you depends on the application and how it is going to be used. For example, should you wish to measure SF6 gas within gas insulated electrical equipment situated outside in a substation, the Rapidox 6100 Portable or Pump Back would be ideal. 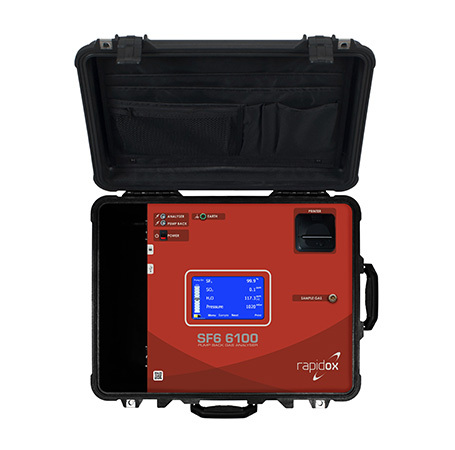 Depending on your budget, either the Rapidox SF6 6100 Portable used in conjunction with the Rapidox Gas Recovery Bag would suit. However, if your application requires the gas to be pumped back into the electrical equipment after the sample, then the Rapidox SF6 6100 Pump Back is the analyser to choose. If you have a research, test or in line process application, the Rapidox SF6 6100 Bench would be the ideal budget instrument. For further information on detailed Rapidox technical specifications please visit our product pages, here you will be able to locate the product you need and download a product datasheet to your required specifications. Rapidox SF6 gas analysers are available in a range of configurations, from single gas, to mulitple gas sensors. Measurable gases include the following: SF6, CF4, H2O, SO2, CO, H2S, CO2,HF, N2 or Air. In order to prevent cross contamination, it may not be possible to measure certain gases within the same sample. Please visit our Rapidox SF6 product pages or contact Cambridge Sensotec for further details. Sensotec technicians to easily assist with technical difficulties that may be encountered whilst using the Rapidox gas analysers. Provided as part of the Rapidox warranty, Team Viewer™ is able to log-on to the PC connected to the analyser directly, allowing for quick and easy diagnostics without the need for costly return shipment. If no internet connection is available, diagnostic data can be downloaded from the Rapidox and sent to Cambridge Sensotec via email, for analysis. For further information or instruction please contact Cambridge Sensotec. If you have been directed to this page for remote diagnostics, please download the application below and follow the instructions provided.